One of my favorite 'book lady' stops each week is Neighbor to Neighbor in Greenwich. This wonderful resource provides food and clothing to residents in need. The food pantry is arranged like a grocery store and the clothing is carefully sorted and sized by a fun crew of volunteers who work closely with the clients to ensure that they get just what they need. Jane Naveros, the Client Coordinator, is the friendly face at the front desk who manages to keep all the appointments running smoothly. She has a huge heart and spends a lot of time making sure clients understand how to tap all the resources the town has to offer. 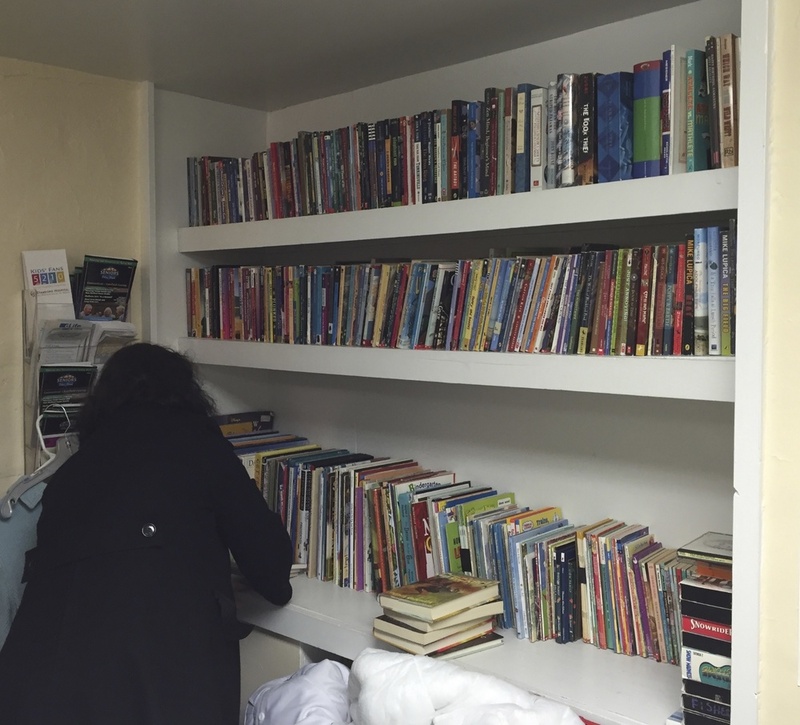 We maintain a small bookcase at the front desk with Children's books, and redistribute any adult books that are donated to other organizations/bookshelves in town. This month Neighbor to Neighbor is sponsoring "Mardi Bra", a Greenwich community-wide drive to collect new bras and underwear.